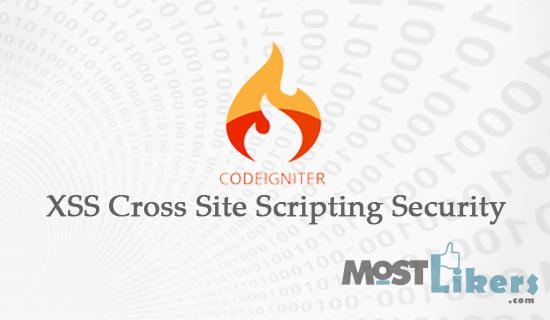 Today we are going to see How to secure the Codeigniter XSS Cross Site Scripting Hacking Attack. CodeIgniter comes with a Cross Site Scripting Hack prevention filter which can either run automatically to filter all POST and COOKIE data that is encountered. For preventing the form data GET and POST you need use security helper. While POST the form data in your controller, You just use xss_clean(). Cross-Site Scripting (XSS) attacks are a type of injection, XSS attacks occur when some attacker user your web application or some form, That time they will send the malicious code. In case your providing some information to other websites, attackers taking the same URL with they are the website and they will send a malicious code. Codeigniter have an inbuilt security library for XSS Cross Scripting attack. Just call $this->security->xss_clean() function, the condition will check the process. Load the security libraries in you parent controller class. CodeIgniter controller code. For an example, I have created sample controller name called the welcome. There i have load security helper and xss_clean() function. Xss_clean() function prevent the access of some third part unknown users. We hope this tutorial really help for you. If you have a suggestion, Write your comment with a comment box. 2nd parameter should be true or your can enable it from configuration file so it will automatically check for xss attack.